"The old axiom of 'time heals all wounds,' we're not there yet." It's been one year since Craig Bates lost his younger brother, and the memory of what happened is ever more painful as protesters plan to fill the streets this weekend once again. Trooper-Pilot Berke M.M. Bates was killed alongside Lt. H. Jay Cullen when their helicopter crashed a few miles outside Charlottesville on Aug. 12, 2017. The two Virginia State Police officers had just completed surveillance over the picturesque college town, where clashes between white nationalists and counter-protesters turned violent. "There isn't a day that passes that we don't miss him," Craig Bates said of Berke, who died two days before turning 41, leaving behind a wife and two children. "The old axiom of 'time heals all wounds,' we're not there yet." They were among three people killed that weekend in Charlottesville during the "Unite the Right" rally, the stated purpose of which was to protest the planned removal of a statue of Gen. Robert E. Lee amid a nationwide debate over what to do with Confederate monuments. Supporters of the rally arrived with guns, torches, swastikas and Confederate flags, and the city became a flashpoint of racial tensions. Heather Heyer, 32, was also killed when a car accelerated into a crowd of counter-protesters. More than a dozen others were injured. 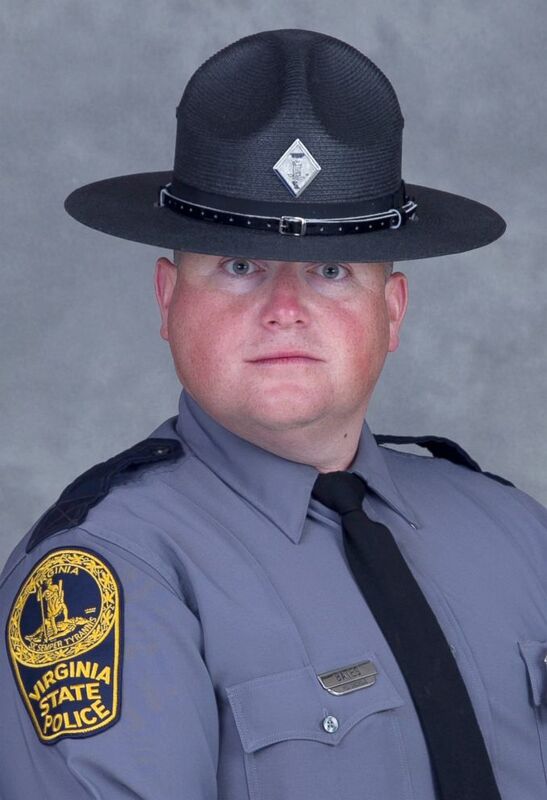 (Virginia State Police) Virginia State Police officer Berke M.M. Bates seen in this image released by Virginia State police, Aug. 12, 2017. Craig Bates, 50, said he picked on his younger brother when they were kids growing up in northern Virginia. But they bonded over their love of hockey, specifically the New York Rangers, and watching the movie "Top Gun." Craig, who lives with his wife and four children in Knoxville, now keeps a hockey jersey with Berke's name on it and other things around the house to commemorate his brother. His parents do the same, he said. "It's my mission to make sure that nobody forgets Berke and what he was willing to do," Craig told ABC News in an interview Saturday. "The legacy of what happened is terrible but we also don't want people to forget Berke." Aside from being a father, Berke had two passions in life: helping people and flying. He had just transferred to the Virginia State Police aviation unit and was beginning to fulfill a lifelong dream when he was killed, his brother said. "I try to find solace in that he was just doing his dream," Craig told ABC News. That was also true for Jay Cullen, a 48-year-old veteran pilot who left behind a wife and two sons. "Jay's whole life, all he wanted to do was fly," his father, Henry Cullen, told ABC News in an interview last year. "He was doing what he loved. He was the greatest son a person could ever have. He loved his wife and son to pieces." 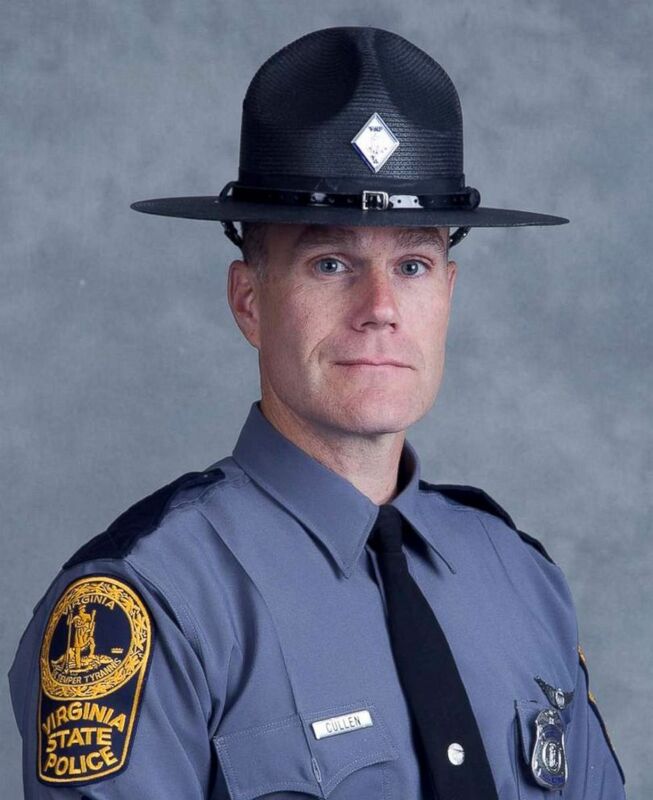 "He died doing what he had an absolute passion for -- protecting the people of the commonwealth of Virginia," Jay's younger brother, Glenn Cullen, told ABC News last year. "Jay never worked a day in his life, because he found his passion. He did everything with pride and determination." (Virginia State Police) Virginia State Police officer H. Jay Cullen seen in this image released by Virginia State police, Aug. 12, 2017. The anniversary of their untimely deaths coincides with a frenzy surrounding the anticipation of a potential Round 2 in Charlottesville, or elsewhere. Virginia Gov. Ralph Northam and the city of Charlottesville have declared a state of emergency ahead of this weekend, although organizers of the original "Unite the Right" rally plan to march in Washington, D.C.
"I've actually tried not to watch a lot of the [media] coverage just because I had sent Berke a text that day, just asking if he was OK," Craig Bates told ABC News. "It hits me at weird times because it is so fresh in my mind, and that's something I wouldn't wish on anybody." Craig said he hopes other people across the nation have learned from what transpired in his home state a year ago and the devastating, real-life consequences that three families must now endure. "I just don't want to see people have to go through what Virginia went through last year," he said. "No matter what anybody's differences are, we're all human beings and that's what this has taught me." ABC News' Sasha Pezenik contributed to this report.